Since Gov. Dannel P. Malloy’s administration announced state income tax receipts were lagging due to weak stock market earnings, much of the Capitol’s focus has been on the relatively small hole it opened in the current budget. But the projected loss of $100 million in tax receipts this year also exacerbates a much bigger budget problem just down the road. Malloy and lawmakers just raised $1.3 billion in taxes – and canceled or delayed nearly $500 million in previously approved tax cuts – to balance this fiscal year and next. And the latest revenue trend means more deficit projections approaching – or topping – $1 billion, must be resolved shortly after the 2016 state elections. “Everybody’s belief that we would return to a normal business cycle has faded,” Office of Policy and Management Secretary Benjamin Barnes, Malloy’s budget chief, told Capitol reporters during a recent briefing on the income tax receipts. During Malloy’s first two years in office, 2011 and 2012, Barnes said he and many others believed that Connecticut’s recovery from the Great Recession – though sluggish at first – eventually would accelerate and match the economic growth of the 1990s and 2000s. That change was evident just over one week ago when the administration announced state income tax receipts tied to investment earnings likely would finish the 2015-16 fiscal year $100 million less than expected. To balance the budget, Malloy ordered matching emergency cuts – about two-thirds of which fell on hospitals. And because those hospital funds qualified Connecticut for additional federal dollars – which the facilities also would lose – the overall hit on the industry was about $190 million. But the $100 million revenue loss isn’t necessarily limited to this fiscal year. Barnes pointed to the S&P 500, a stock market index based on 500 of the largest companies on the New York Stock Exchange or the NASDAQ market. The stock market, as measured on the S&P 500, peaked on May 21 and has fallen 6.4 percent since. So is a $100 million revenue loss this fiscal year likely to repeat in 2016-17 and in 2017-18? But Republican legislative leaders say that the Democratic governor’s budget office is completely wrong on that. Connecticut budgets in two-year cycles, and the second year of the latest biennial plan – 2016-17 – was balanced on paper before this downward trend was identified. Even if the $100 million problem crops up next fiscal year, Barnes notes it could be resolved, for example, if legislators make permanent the emergency cuts the governor ordered this year. But what about the fiscal year that starts in July 2017 – the first year after the current biennial cycle? According to the legislature’s nonpartisan Office of Fiscal Analysis, there already is a major deficit, $927 million, built into state finances that year. Factor in the $100 million loss in income tax receipts, and the problem tops $1 billion. And if it’s a worsening trend? “We’re almost in just as bad a position in the next budget cycle as we were going into this one,” said House Minority Leader Themis Klarides, R-Derby, who called last week for Mallow to approach state employee unions for wage and benefit concessions. During the 2014 gubernatorial election, Malloy repeatedly insisted he would not raise taxes if re-elected, and dismissed nonpartisan projections of a major deficit built into post-election finances. The governor’s Republican challenger, Greenwich businessman Tom Foley, acknowledged the deficit, but still promised major tax cuts while identifying almost no major spending reductions to close the shortfall. 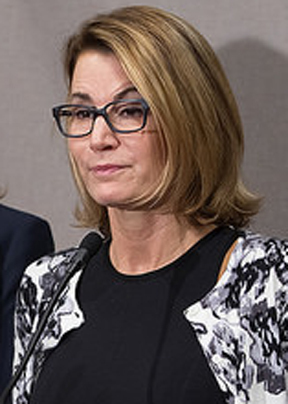 Klarides said Connecticut cannot afford to ignore another impending budget crisis until it is too late. “You would have had to be deaf, dumb and blind last year not to know we were heading for this,” she said. Fasano agreed with Klarides that concessions are needed now. “I think it’s time to ask the state employees to come to the table,” he said. This debate and the latest revenue problems don’t mean Connecticut’s economy has no bright side. Barnes cited an unemployment rate that has fallen as low as 5.3 percent. But much job growth has been in low-paying service jobs, and income tax receipts from paycheck withholding traditionally fluctuate much more slowly than those tied to investment earnings. That means that Barnes believes “that this recovery will continue at a slower pace.” But he also warned that, when it comes to the investment-related earnings that provide about 40 percent of all income tax revenue, the recent decision to lower expected receipts by $100 million may not be the last of its kind. “There’s certainly a reasonable scenario in which the revenue drop is significantly worse than what we’re building into our estimates today,” Barnes said.